Who wouldn’t want to spend an afternoon baking in this cheerful kitchen? The space was designed by Canadian decorating duo Sarah Richardson and Tommy Smythe, who employed a fresh white, yellow and blue palette reminiscent of spring. Hand-painted mosaic cement tiles in a flower pattern lend character and country-chic style. Reinforce the look with a farmhouse sink and cup drawer pulls. Kudos to this kitchen’s oversized honeycomb-patterned backsplash, which makes a major style statement while delineating the space from the nearby dining room. Caitlin Wilson wanted to lighten this New Jersey kitchen, but the predominantly white palette needed a little extra texture. The movement in Calacatta Gold marble subway tile creates a dynamic backdrop, while herringbone floors literally ground the space. Another new way to lay subway tile: Stack them vertically and horizontally, rotating each time, for a more modern aesthetic that’s undeniably chic. Dark countertops set off the cheery red and white tiles from Craftsman Court Ceramics in an Arizona kitchen. 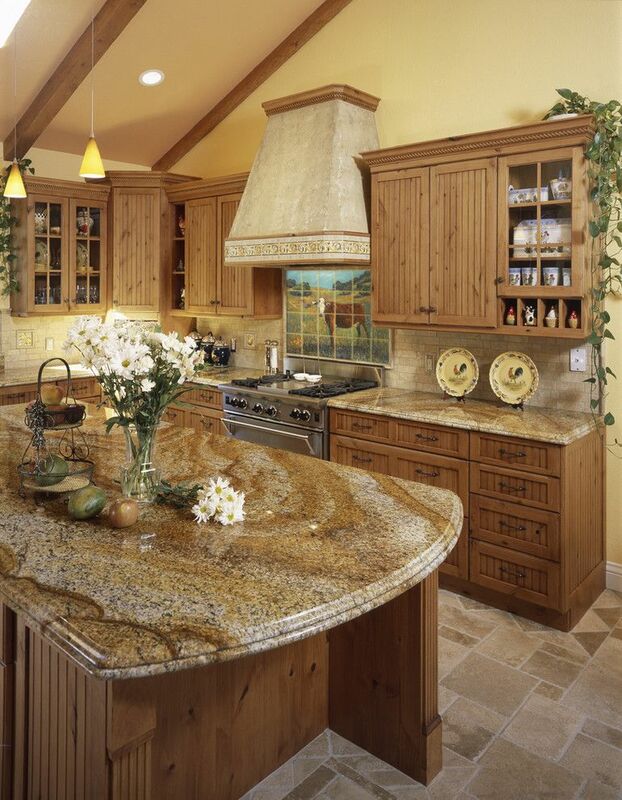 Every expertly designed kitchen has that statement piece that’s a work of art in its own right. In this case, it’s the glass herringbone backsplash. The tile’s moody navy shade is underscored further thanks to the crisp white grout. Handpainted Talavera tiles from Mission Tile West brighten the kitchen in a 1920s Santa Monica home. Turquoise glass tile in a herringbone pattern adds a sense of beachy calm to this bright white kitchen. Coordinating dishware in the glass-fronted cabinets above help reinforce the coastal aesthetic. While some of us are lucky enough to live with exposed brick, we’re not all so fortunate. So what are the envious other half of us to do? Take it from Scott McGillivray and mimic the look using a gypsum material, then pipe in the grouting for an authentic feel. Paint the bottom half white for extra panache. Mirrored tiles maximize light in this Manhattan loft,which jazzes up the painted bamboo bar for glitzy entertaining. 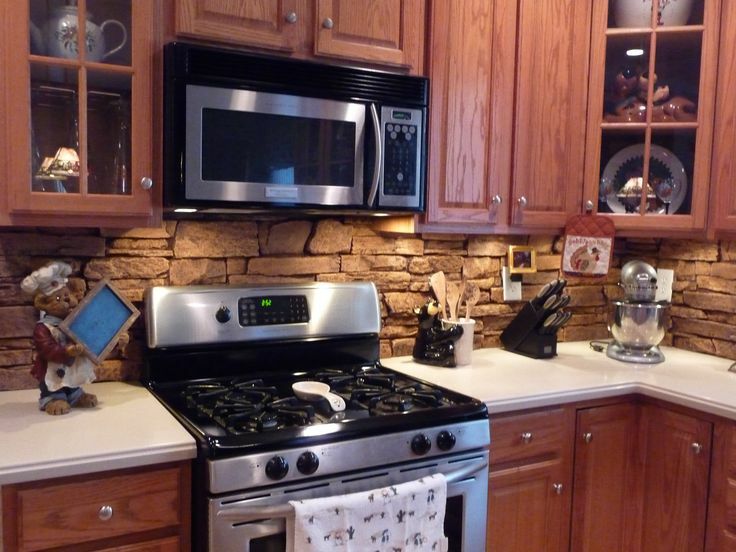 When the kitchen’s visible from the living room, the backsplash can’t be ho-hum. Sara Gilbane chose Ann Sacks’s Moroccan tiles to fill the space between the cerused-oak cabinetry in a Florida home. While all-white kitchens are forever on trend, there’s a new neutral in town: grey. 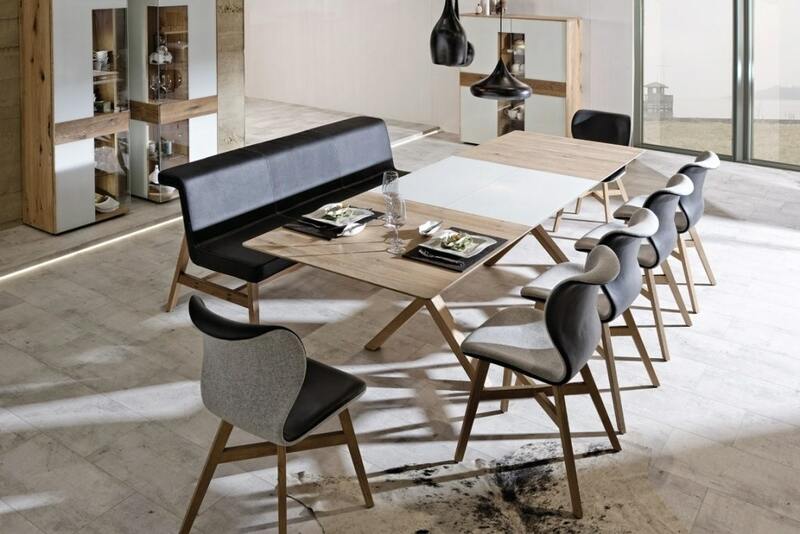 The monochrome hue adds sophistication while staying on the subtle side. Craving more character? Take it from this kitchen and opt for a bold patterned backsplash in the same shade. Upcycled bricks from Fireclay Tile get a new life as a glazed backsplash in our 10th annual House Beautiful Kitchen of the Year. San Francisco designer Jon de la Cruz went with the dark hue as an homage to one of cooking’s central ingredients: black pepper. The Manhattan version of a farmhouse kitchen features white-tiled walls with gray grout. White cabinetry and a milk-glass chandelier add to the sun-drenched feeling. In a Birmingham apartment, an entire wall is clad in Calacatta Gold marble tiles from Kenny & Company and laid in a chevron pattern for extra drama. 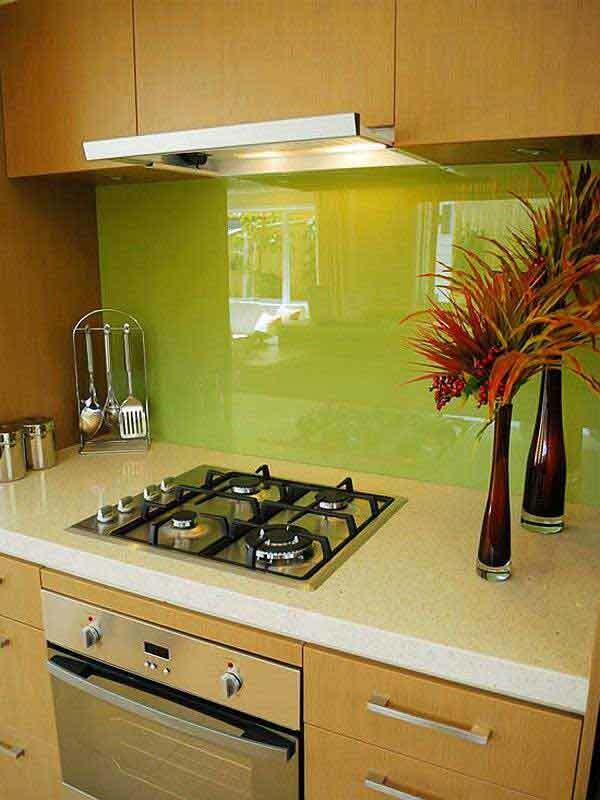 This watery-hued back-painted glass backsplash adds a surprising dose of colour to an otherwise neutral kitchen. Love the look? Designer Frank Roop alluded to the setting of a Nantucket kitchen with a backsplash reminiscent of the ocean. The variegated handmade glass tiles, Erin Adams through Ann Sacks, steal the show. Don’t forget about your outdoor spaces. Chelsea Blues tiles from Mosaic House grace Lulu Powers’s backyard bar, creating contrast with the lacquer-treated copper countertops. Loom glass tiles in Silver Silk from AKDO brighten our 2016 kitchen of the year. The subtle sheen only adds to Matthew Quinn’s dazzling decor. Sometimes, diving into the design deep-end pays off big time. Case in point: this statement kitchen featuring a bold geometric backsplash, lavender-hued lower cabinets and chic brass drawer pulls. 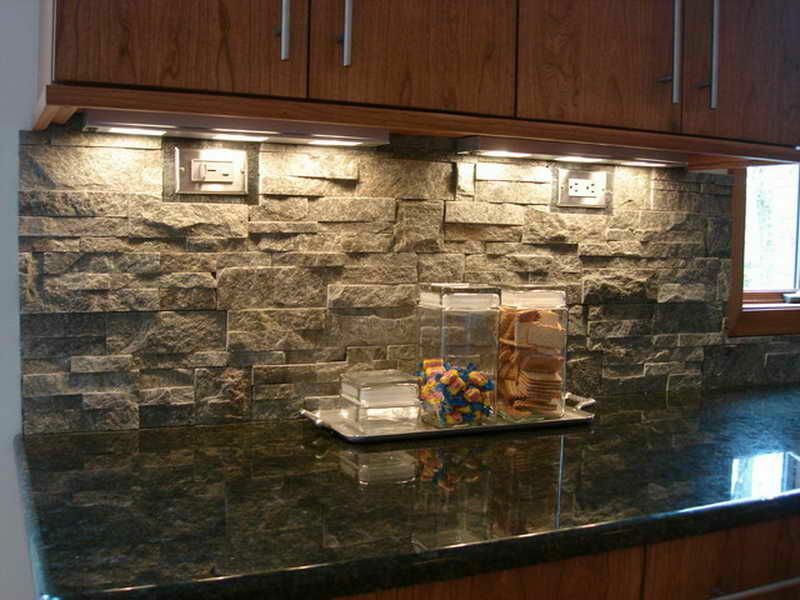 Seeking a backsplash design that’s bold but not full-on fashion-forward? Opt for small hexagon-shaped tiles in varying neutral hues, being mindful to coordinate the tones with those featured throughout the rest of the space. Designer Michael Maher, who worked on this bright red butler’s pantry, introduced visual interest with Elizabeth Dow’s Chanel Indigo wallpaper. Coated with Teflon, the geometric-print linen wipes clean. In a Hudson Valley home, white cabinetry sets off a kitchen backsplash in Mosaic House’s Batha Moroccan tile. The brass cabinet hardware harmonizes with details on the La Cornue range. “Often, we’ll carry the countertop stone up onto the wall, but I felt like this hand-glazed terra-cotta tile from Mosaic House added a great organic quality,” says designer Robert Stilin. To combat the inevitable “oil-splatter scrub down” behind a TriBeCa loft’s range, he chose a stainless steel backsplash from Wolf like those used in restaurant kitchens. A coordinating mosaic (handmade Idris tile from Ann Sacks) picks up the soft blues of the island in an inviting Dallas kitchen. A little shine — and a few twists on tradition — inject simplistic style in a New York kitchen by Louise Brooks. 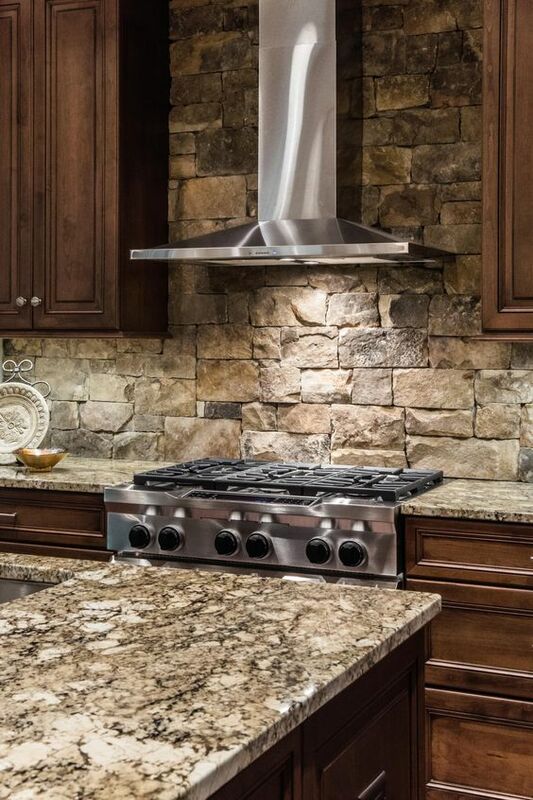 The backsplash is made with Ann Sacks’ Inca tiles in Brushed Aluminum. Considering how much love a kitchen receives on a daily basis, it deserves to look good. 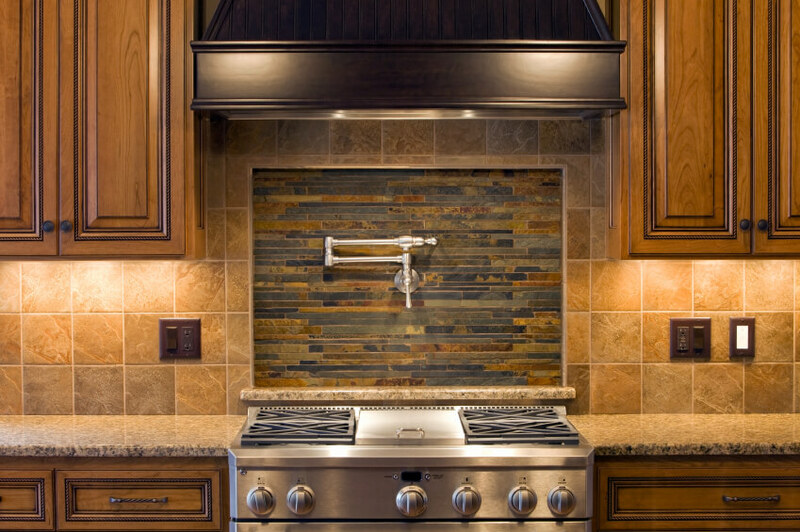 So if you’re about to embark on a renovation, why not take the decorating plunge and opt for a statement backsplash? We’ve rounded up 40 inspiring tile designs that are just as trendy as they are tasteful. It may be called penny tile, but after it’s installed, we promise you’ll end up with a million-dollar look. Seen here in grey, the style looks especially dashing when paired with white oak cabinetry and bold red dishware. 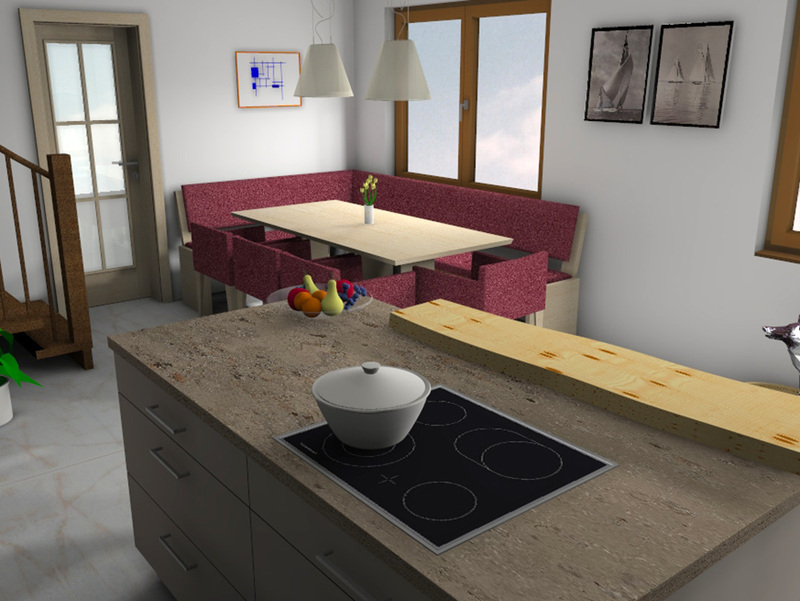 Give your kitchen tons of character without a speck of colour by going wild with pattern. This encaustic tile backsplash is a striking showpiece, uplifted further with chic brass cabinetry hardware. Archive beveled tile by Waterworks laid in a stacked bond provides a clean backdrop for a 1905 kitchen’s custom range. Tired of standard subway tile? We hear you. Shake up the classic look à la Sarah Richardson by laying the tile in a chic herringbone pattern. Perfection. “In a room this big, with east and west exposures, all this gray is grounding,” says designer Joe Lucas of this Southern California bachelor pad. The wall is covered with acid-washed Seagrass limestone from Classic Tile. A posh take on subway tiles, Pratt & Larson crackled ceramic tiles are glazed a pale blue in this streamlined cooking space. A nearby wall in Benjamin Moore’s Nelson Blue echoes the shade. fashioned this dreamy light-filled kitchen. While sophisticated and serene, the room’s artful backsplash and accessories give it coastal character. lends tons of architectural interest — so much so that it’s best to keep the rest of the space as pared back as possible. You’ll be hard-pressed to find a backsplash design more elegant than this one, which features beautiful grey tile cut in an arabesque pattern. “I wanted it to feel as if you had taken an old kitchen and brought it up to speed,” designer Christopher Peacock says of the 2013 Kitchen of the Year. Beadboard, painted in Calcium Wall Emulsion Paint from Christopher Peacock Paint, compliments the open shelving. Whether your dream kitchen is rustic and cozy or modern and sleek, these tile design ideas have you covered. Megan Rice Yager warmed up this cabin-style kitchen with walls in reclaimed wood. Of course the pewter outdoor lanterns don’t hurt, either. Warm colors reign supreme in this cozy, old-world kitchen. Designer Sandra Bird laid Ann Sacks’ Gothic tiles in a harlequin pattern above the bar for a playful touch. With five different shades (Sorrell, Otter, Champagne, Cream, and Willow), the same colors never touch. This elegant grey and white backsplash features circular tiles that form to resemble tiny flowers. The rose gold cabinetry hardware and utensil holder add a glam note. A liberal dose of spicy orange is what makes this California kitchen really special. Designer Melanie Coddington says it all started with the backsplash: Contessa Pagoda tile from Walker Zanger. Slate grey lends sophistication to a space – but beyond that, it’s the perfect backdrop to show off almost any hue. Here, hits of buttery yellow make a debut for a springy zing. We can’t say enough about this charming European-style kitchen designed by Joanna Gaines (because who else could pull off a modern-rustic look this fabulous?). The statement patterned backsplash breaks up all the white and lends character. Extending the tile to the ceiling also makes the space appear larger, while the reclaimed open shelves complete the look. Talk about texture! 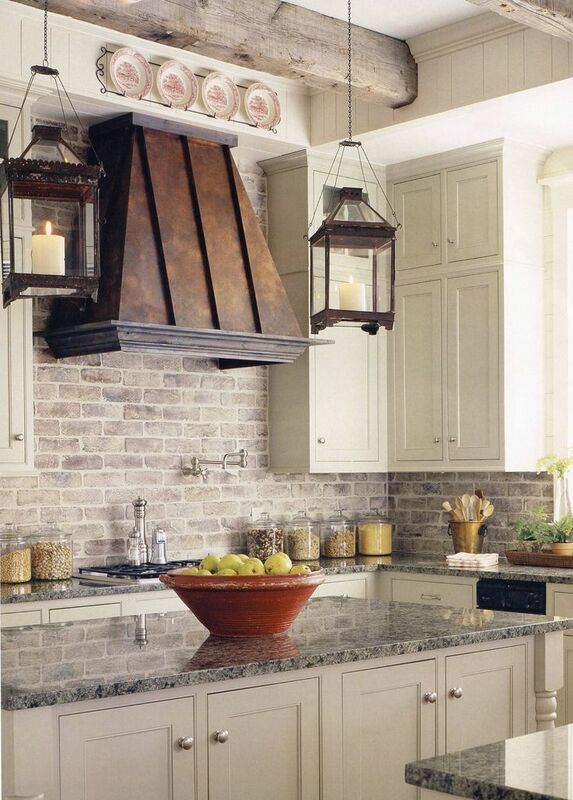 This backsplash’s grey diamond-shaped tiles give the charming country-style kitchen character. It also continues the room’s bright and airy vibe. Though a black and white palette is a safe choice, this kitchen achieves statement-making status thanks to a strategic mix of pattern. The trendy herringbone backsplash adds edge to the otherwise classic room and ties into the checkerboard floor for a cohesive look. serve as the perfect backdrop for the room’s gleaming hits of gold. Inspired by the blue-gray veining on the countertops, designer Matthew Quinn chose matching subway tile for the 2014 Kips Bay Decorator Show House. The dark color of Pratt & Larson’s Rustic tile sets off the hood, and its large scale — 6 by 10 inches — suits the large space. Instead of merely doing a backsplash, Quinn ran the tile up to the ceiling. “It feels more like a French bistro this way,” he says. This gorgeous kitchen, with its contemporary zig-zag style backsplash, is the masterly work of designer Jillian Harris. Though the backsplash design could run the risk of looking sterile, the addition of blue-grey cabinetry and warm wooden elements make it feel chic and homey. 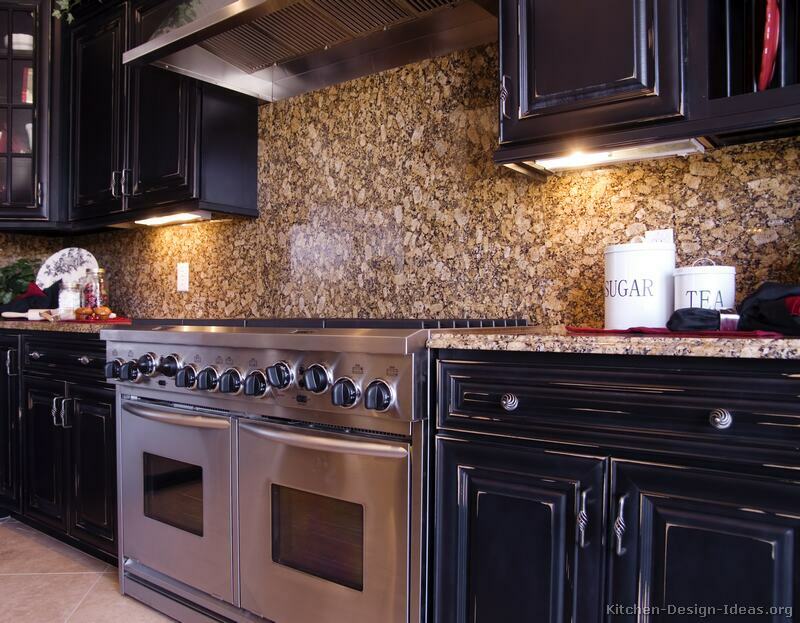 This elegant backsplash restores our faith in a kitchen’s capacity to be glam without being gaudy. Its one-of-a-kind peak-shaped design is grounded by the rest of the kitchen’s white and wood tones. Sandwiched between glass, a piece of Lee Jofa’s Lauretta fabric becomes a delightful accent in an English country-style kitchen.
. As for the modern grey herringbone patterned backsplash? It provides visual interest while maintaining the room’s calm and charming vibe. In our 2016 kitchen of the year, designer Matthew Quinn covered the wet bar’s wall in gold-striped Calacatta marble tiles by AKDO. For extra oomph, he arranged them in a sunburst pattern around the window. Nick Olsen broke all the rules when decorating this tiny studio apartment. The kitchen corner gets a helping of charm with a painted plaid backsplash and matching grosgrain ribbon trim. Subtle yet striking, this white and grey backsplash carries a tactile quality that’s both memorable and mesmerizing. 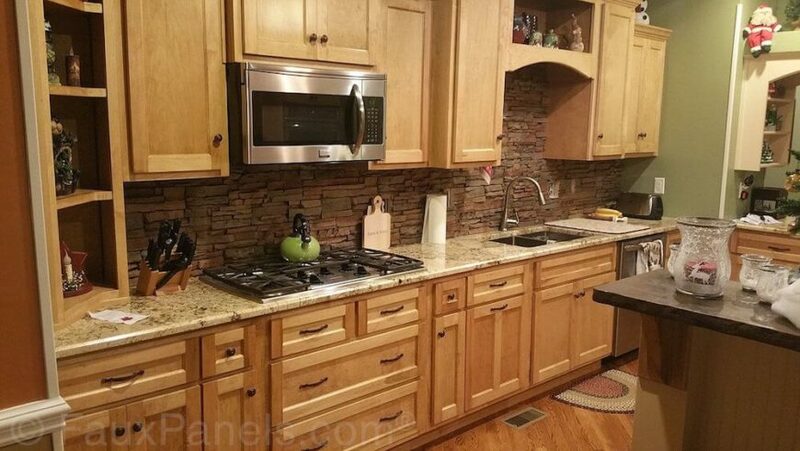 features a gorgeous patterned backsplash that spans two walls. The different tile designs are repeated throughout to lend cohesion. This playful polka dot-patterned backsplash conforms to the kitchen’s subdued palette while adding a healthy dose of texture, helping to soften the space’s hard lines.